Is Investing in Social Media a Wise Choice for Business? Yes, Facebook alone can help you maintain a solid customer base and improve your business relations and spending by more than a 100%. In America alone roughly around 71% of internet users have access to Facebook. About 90% know and own a social media account at some point in their lives. Advertisers alone poured over an estimated $8.5 Billion into advertising using social media. This has been steadily increasing as the value of information is now a driving force in marketing and advertising. Facebook is basically free and offers you a large pool of people to advertise to. Our expert social media marketers are able to offer their services to help you start or maintain your social media account. Understanding the fundamental principles on this growing market is what we are here for. We also offer consultation services on what social media platform would be best for your target demographic or desired audience for your shop or website. We not only help you launch your social media account and get it started being passed around by users. Our company also offers services in maintaining and enriching your social media account. We can help you identify your target demographic on major social media platforms such as Facebook, Twitter, Instagram, and Google+. Using advance algorithms and strategies so you can reach out to your desired audience faster. Based on the needs of your business we also offer Social Media promotion through marketing campaigns and advertising. Through creation of highly engaging ads and promotions we can help you turn your followers into customers. Using social media as a new method to pinpoint and engage the right person to advertise and promote your content, services, or goods can help your business get noticed. Malaysia is ambitious to be an education hub in the region. Recent years many nursing colleges have been setup. It has become an issue for students that wish to join an reputable college. Online information from each college has been overwhelming. All of them are promoting the goodness of their own college. Nursing College Advisor is set up to provide an unbiased comparison for students to make the right decision. However, the company’s website has to compete with all the colleges or universities website out there. As we know, all of them are having .edu extension in their domain. 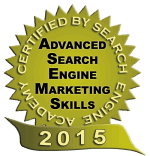 In Google’s term, these sites are consider as authority, therefore the challenge to out rank them is an uphill task. All of these have been in the history, after we work closely with Nursing College Advisor’s owner to optimize their website. Till today Nursing College Advisor has been receiving regular leads online daily. Our fee ranges from $1,000 to $2,000 per month, depending on services you require. If that is not for you, we can provide our professional advise on your website, our hourly rate for consultation is $150. Yes! You’re more than welcome to contact any of our existing clients. Just ask any of our client. We’re very proud of our work.